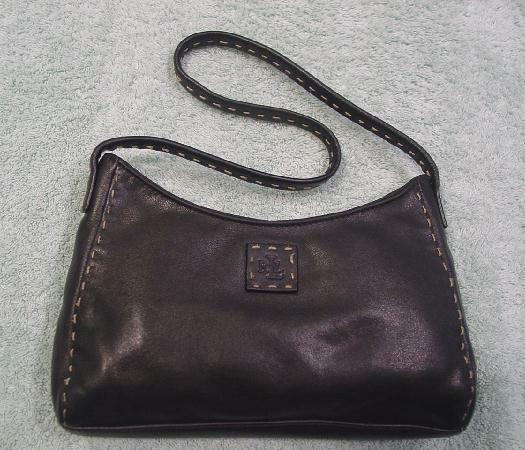 This little black faux leather purse is a Lauren Ralph Lauren. It has an arc shaped top with a square logo patch on the front with etched letters and offwhite stitching. 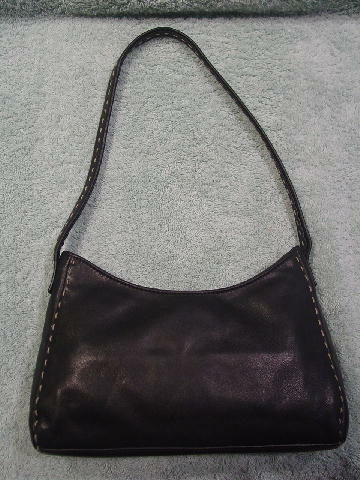 The same stitching is on the sides and in the center of the 22" by 1/2" strap. It has an interior magnetic snap closure and a black fabric lining with tone-on-tone RLL on it and an etched Lauren Ralph Lauren patch on the interior open pocket.